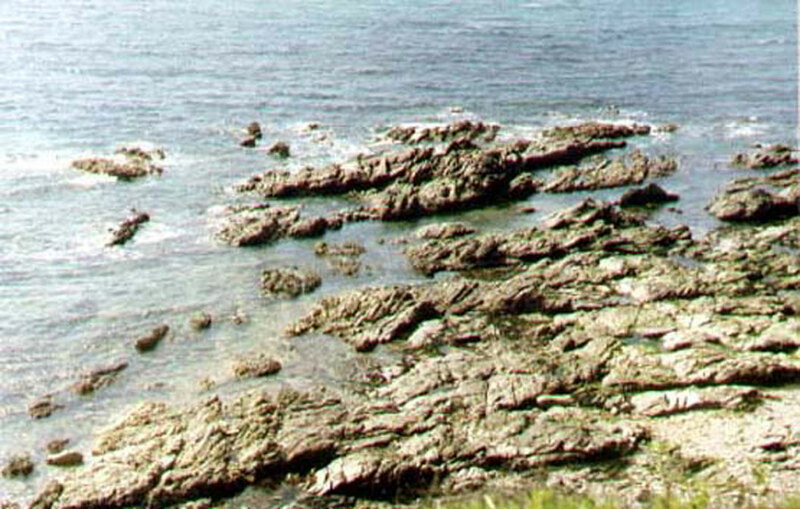 Aquaria are a very important, but not essential, part of the study of marine life. For non-divers it is the best opportunity to see the behaviour of the smaller fish and invertebrates in anything like their natural environment. The reasons for keeping aquaria vary from wanting to having a little bit of natural life in the home to a specialist study of one organism. However, the native marine aquarist rarely keeps a tank solely as a decoration, because although the sea anemones equal in colour anything from tropical seas it is a much easier option to keep almost all the other types of aquarium. This is because 50% of the species commonly kept require temperature control, involving the use of a cooler to chill the water by up to 10°C in summer. 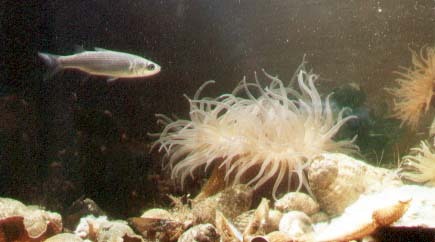 1) It is likely to avoid the need of killing the animal as close observation in captivity and enlarged photographs (nowadays the pictures can be examined on a computer screen) is usually sufficient, and in the case of sea anemones may be the best method. 2) Enables observation to be undertaken over a period of time, which has an advantage in identifying fish and other animals that change their appearance over their life span. 3) Behaviour in aquaria is often a useful clue with species that are morphological very similar. 4) The specimen can be examined at greater leisure than in the field and this is likely to produce more accurate records. I have no doubt that the real reason why some of our members go to the considerable effort and work of keeping aquaria, because it is good fun. At first, for me, it was almost a compulsion. Certainly, taking a decent photograph of the “strawberry” Beadlet Anemone, Actinia fragacea, was a thing I had to do. This was purely for aesthetic reasons. The aim of aquarist should be to provide conditions that mimic as far as possible those found in the wild. This has led to some aquarists contemplating a pond or rock pool type of aquarium. It is certainly a possibility but this type, especially if it is outside, actually makes controlling the environmental conditions more difficult, and viewing not so interesting. The large surface area, in theory, should encourage gas exchange at the surface keeping the dissolved oxygen levels up to saturation point, but in practice this is best achieved by disrupting the surface using water pumps (powerheads) or diaphragm air pumps. Outside ponds have only the one advantage, of high light levels of up to and over 50000 Lux in summer which may be the cheapest method of providing sufficient light for Snakelocks Anemones, Anemonia viridis, and other anemones that have symbiotic algae in their tissues. The standard glass (or acrylic) tank is the best bet.